The first ever 1/12th scale model of Team Anglerfish's tank! Rolling Out! 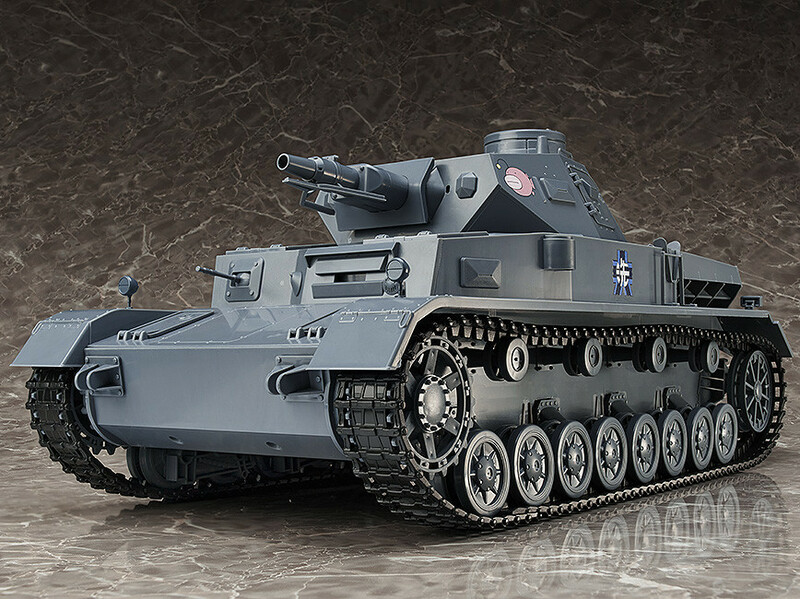 From the popular anime series with a film coming this Autumn, 'GIRLS und PANZER' comes a 1/12th scale model of the Ankou Team's tank, the Panzer IV Ausf. D. The tank is pre-assembled (some parts do require some simple assembly with glue and stickers need to be attached manually) and also comes equipped with twin motors allowing it to drive it forward! The model faithfully preserves all the proportions, details and characteristics of the CG data used in the series. 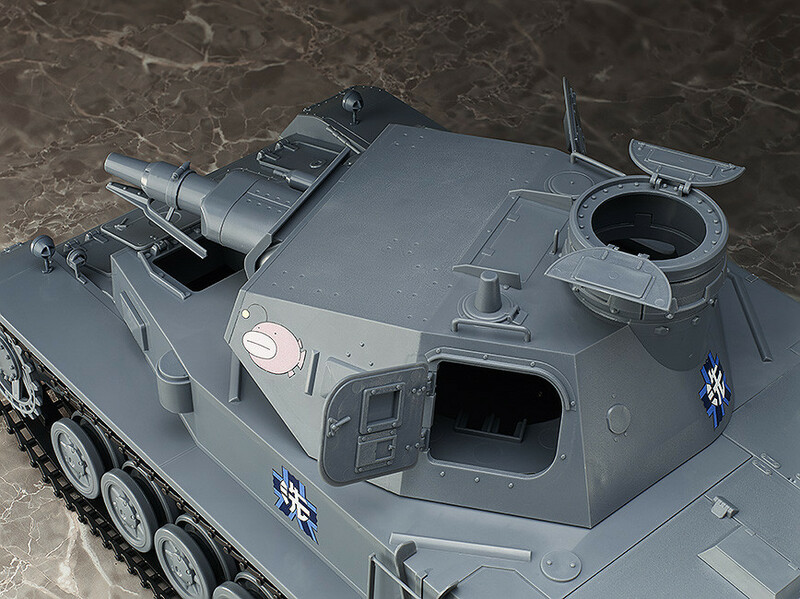 The turret can be rotated and the main battery can be moved up and down allowing the tank to take careful aim. Various hatches around the tank can also be manually opened and closed. 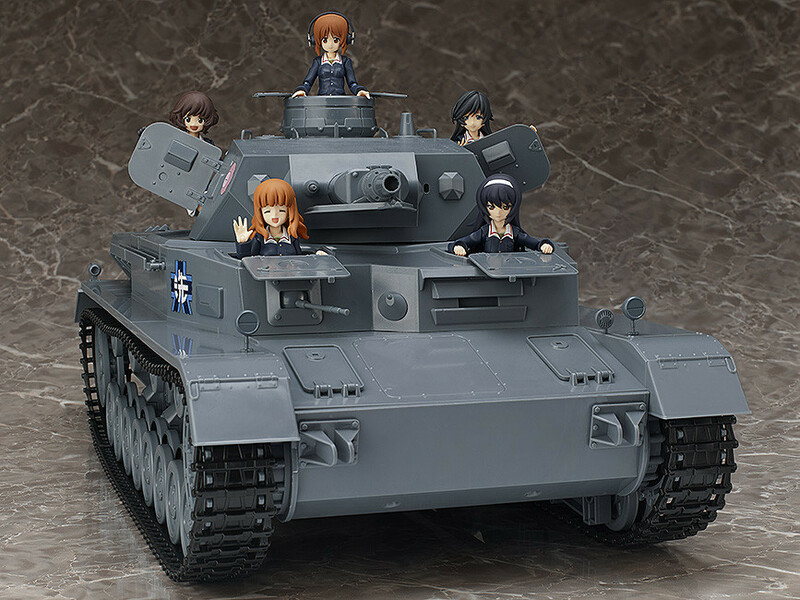 You can even easily display figma Miho Nishizumi and the other members of the Anglerfish Team riding inside the tank! 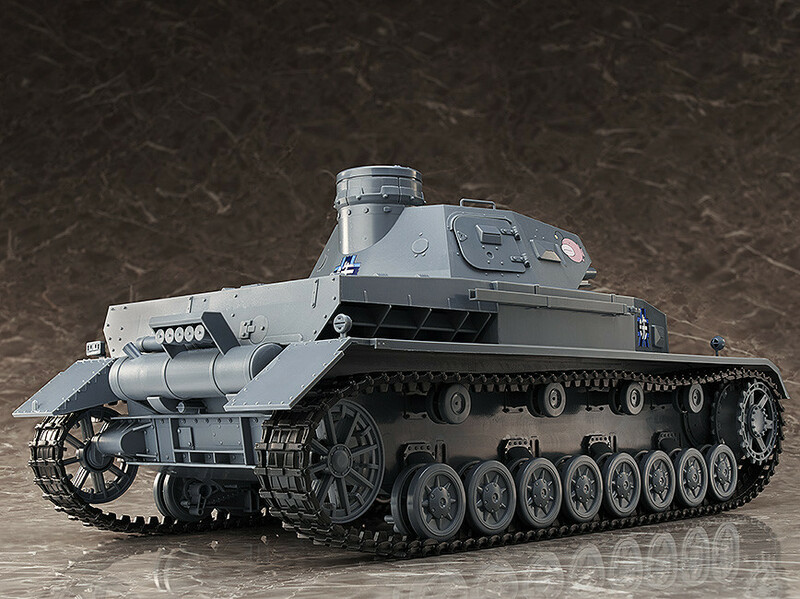 1/12th scale pre-assembled ABS electric model. 6x AA batteries required (sold separately). Approximately 490mm in length and 220mm in height. Includes stickers for tank markings. Certain parts do require some simple assembly with glue and stickers need to be attached manually.